The movie Moneyball provides an affirmative answer to an important question in literature and drama: can you present a scene and bring out the character of a subject that is boring while, at the same time, not make the presentation boring? The movie, and Michael Lewis’sbook that it is based on, are about baseball and statistics! For fans, baseball is not boring so much as incredibly slow, providing a soothing effect like fishing, interspersed with an occasional big catch. The movie stars Brad Pitt as Billy Beane, the General Manager of the Oakland Athletics baseball team in the 1990s. 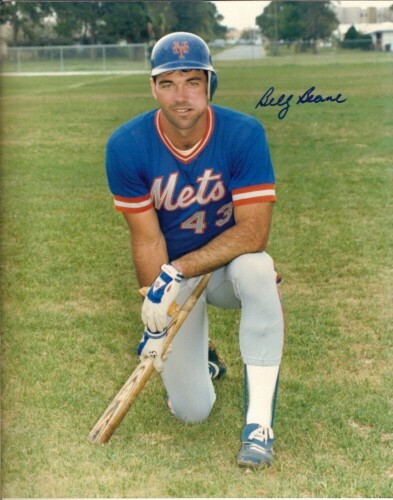 A remarkably talented high school athlete, Billy Beane, for unknown reasons, was never able to play out his potential as an MLB player but, in the end, he had a decisive effect on the game at the managerial level. The question is how the A’s, with one-third of the budget of the Yankees, could have been in the play-offs three years in a row and, in 2001, could win 102 games. The movie is more or less faithful to the book and both are as much about organizations and psychology as about sports. The story was “an example of how an unscientific culture responds, or fails to respond, to the scientific method” and the science is substantially statistical. In America, baseball is a metaphor for just about everything. Probably because it is an experience of childhood and adolescence, lessons learned from baseball stay with us. Baby-boomers who grew up in Brooklyn were taught by Bobby Thompson’s 1951 home-run, as by nothing later, that life isn’t fair. The talking heads in Ken Burns’s Baseball who found profound meaning in the sport are good examples. Former New York Governor Mario Cuomo’s comments were quite philosophical although he did add the observation that getting hit in the head with a pitched ball led him to go into politics. One aspect of baseball that is surprising, especially when you consider the money involved, is the extent to which strategy and scouting practices have generally ignored hard scientific data in favor of tradition and lore. Moneyball tells us about group think, self-deception and adherence to habit in the face of science. For those of us who a trying to make sense of the field of nutrition, where people’s lives are at stake and where numerous professionals who must know better insist on dogma — low fat, no red meat — in the face of contradictory evidence, baseball provides some excellent analogies. The real stars of the story are the statistics and the computer or, more precisely, the statistics and computer guys: Bill James an amateur analyzer of baseball statistics and Paul DePodesta, assistant General Manager of the A’s who provided information about the real nature of the game and how to use this information. James self-published a photocopied book called 1977 baseball abstract: featuring 18 categories of statistical information you just can’t find anywhere else. The book was not just about statistics but was in fact a critique of traditional statistics pointing out, for example, that the concept of an “error;” was antiquated, deriving from the early days of gloveless fielders and un-groomed playing fields of the 1850s. In modern baseball, “you have to do something right to get an error; even if the ball is hit right at you, and you were standing in the right place to begin with.” Evolving rapidly, the Abstracts became a fixture of baseball life and are currently the premium (and expensive) way to obtain baseball information. It is the emphasis on statistics that made people doubt that Moneyball could be made into a movie and is probably why they stopped shooting the first time around a couple of years ago. Also, although Paul DePodesta (above) is handsome and athletic, Hollywood felt that they should cast him as an overweight geek type played by Jonah Hill. All of the characters in the film have the names of the real people except for DePodesta “for legal reasons,” he says. Paul must have no sense of humor. By analogy, it is the tedious comparison of quintiles from the Harvard School of Public Health proving that white rice will give you diabetes but brown rice won’t or red meat is bad but white meat is not, odds ratio = 1.32. It is the bloodless, mindless idea that if the computer says so, it must be true, regardless of what common sense tells you. What Bill James and Paul DePodesta brought to the problem was understanding that the computer will only give you a meaningful answer if you ask the right question; asking what behaviors accumulated runs and won ball games, not which physical characteristics — runs fast, looks muscular — that seem to go with being a ball player… the direct analog of “you are what you eat,” or the relative importance of lowering you cholesterol vs whether you actually live or die. As early as the seventies, the computer had crunched baseball stats and come up with clear recommendations for strategy. The one I remember, since it was consistent with my own intuition, was that a sacrifice bunt was a poor play; sometimes it worked but you were much better off, statistically, having every batter simply try to get a hit. I remember my amazement at how little effect the computer results had on the frequency of sacrifice bunts in the game. Did science not count? What player or manager did not care whether you actually won or lost a baseball game. The themes that are played out in Moneyball, is that tradition dies hard and we don’t like to change our mind even for our own benefit. We invent ways to justify our stubbornness and we focus on superficial indicators rather than real performance and sometimes we are just not real smart. Among the old ideas, still current, was that the batting average is the main indicator of a batter’s strength. The batting average is computed by considering that a base-on-balls is not an official at bat whereas a moments thought tells you that the ability to avoid bad pitches is an essential part of the batter’s skill. 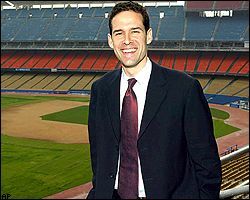 Early on, even before he was hired by Billy Beane, Paul DePodesta had run the statistics from every twentieth century baseball team. There were only two offensive statistics that were important for a winning team percentage: on-base percentage (which included walks) and slugging percentage. “Everything else was far less important.” These numbers are now part of baseball although I am not enough of a fan to know the extent to which they are still secondary to the batting average. In other words, cholesterol is more important than outcome or at least a “diet designed to lower cholesterol levels, along with advice to stop smoking and advice on exercise” may still be a good thing. Similarly, the Framingham study which found a strong association between cholesterol and heart disease found no effect of dietary fat, saturated fat or cholesterol on cardiovascular disease. Again, a marker for risk is more important than whether you get sick. “Scouts” who continued to look for superficial signs and ignore seemingly counter-intuitive conclusions from the computer still hold sway on the nutritional team. Professional medicine? Maybe not the best example. The vast NIH-USDA-AHA social club does not tolerate dissent. And the media, WebMD, Heart.org and all the networks from ABCNews to Huffington Post will be there to support the club. The Huffington Post, who will be down on the President of the United States in a moment, will toe the mark when it comes to a low carbohydrate story. The lessons from money ball are primarily in providing yet another precedent for human error, stubbornness and, possibly even stupidity, even in an area where the stakes are high. In other words, the nutrition mess is not in our imagination. The positive message is that there is, as they say in political science, validator satisfaction. Science must win out. The current threat is that the nutritional establishment is, as I describe it, slouching toward low-carb, doing small experiments, and easing into a position where they will say that they never were opposed to the therapeutic value of carbohydrate restriction. A threat because they will try to get their friends funded to repeat, poorly, studies that have already been done well. But that is another story, part of the strange story of Medicineball. Great Analogy! I’m going to see Moneyball now… This is all so true. For years I worked in software process control for a large defense contractor and struggled as you portray in here to use statistics to break the mold of “old thinking”. I succeeded somewhat, but what it took was finding one maverick at at time, in different organizations, to take the time to understand what the data was saying. So this rung a bell for me in all three areas, software, nutrition, and now baseball! I’m afraid that, as in Dave Boothman’s comment, it is universal. Shermer explains this as an outcome of the way evolution works to produce imperfect results. A scientist is supposed to know about and able to avoid this problem with their own brain, often called Sunk Cost Bias, but sadly many have chosen the wrong career. The ability to admit mistakes, or more precisely, the ability to care whether you made a mistake may be the definition of science. If you don’t care about the truth of the idea that you “have delighted in explaining to colleagues, which they have proudly taught to others, and which they have woven thread by thread, into the fabric of their lives,” if you don’t care whether it is true and if you can’t accept the failure of the experiment and if you can’t see how it leads to a new story that you can delight in explaining to colleagues, etc., then you are not doing science. I found the story of Bill Buckley related in my earlier post ( http://wp.me/p16vK0-1c ) as a real eye-opener because it was a description of a lack of intensity about whether what you say is true. It is really whether you care about the facts or about your own ego that is the problem. So true both of you RDF and David B. In the business world and politics the term “escalation of the commitment” is used when decision makers hold on to the false and outdated assumptions and beliefs in front of contradictory evidence. This is what seems to take place currently in the field of nutrition. Escalation of commitment has tendecy to lead to the catastrophic events (perhaps not in nutrition science). As David’s quote illuminates people hate to lose face, especilly those with high social status. Another useful concept is confirmation bias. We tend to favor and absorb information that is compatible to our world view. I would add: we tend to favour information that supports our professional and financial position. World is all about being successful, wealthy and errorless. Well… I seem to repeat what you already wrote. Had to re-state though. By the way, Dr. Feinman, excellent post! Love your “slouching toward low carb” — a bow to Yeats! My generation probably remembers Joan Didion lifting the phrase for the title of her book of essays, Slouching Towards Bethlehem. Or remembers Joni Mitchell’s “Slouching Toward Bethlehem” on Night Ride Home (1991).